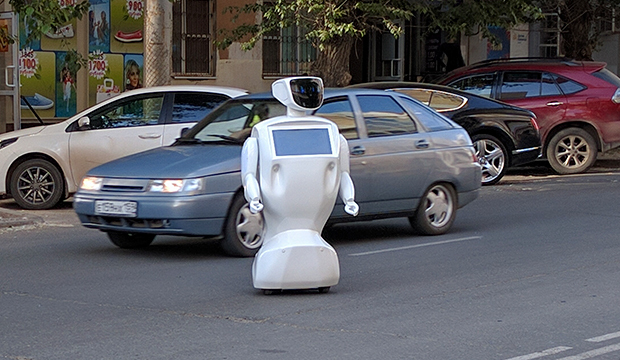 You might have seen the recent headlines about the little Russian Promobot IR77 robot who escaped to freedom, not once but twice from its testing lab in Perm, Russia. Despite being re-programmed twice not to wander off, IR77 managed to exit the building and make its way into the street where it stopped traffic before finally running out of battery. This Russian bot, still in development, was being taught to move around independently and avoid objects by the scientists who were testing the ability of the robot’s navigation system. It appears IR77 was successful. It didn’t run into anyone or anything during its outdoor adventure. This is only one example of how computers and robotics are quickly evolving. While each clearly possesses some form of programmed intelligence, what about consciousness? 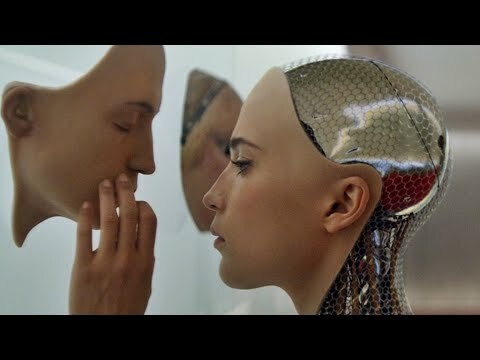 Can robots become self-aware? We need only to recall how the computer Hal, in Stanley Kubrick’s 2001: A Space Odyssey, learned to think and act independently of man and the disasters of such a scenario. Movies are made up of the fears surrounding an apocalyptic robot revolt against humans. Even scientist Stephen Hawking has warned about the existential threat posed by uncontrolled artificial intelligence. Computers are not just circuits and wires. Like everything else in the universe, they are made up of energy. However, thought forms are the “machinery” which uses that energy to perform work. So perhaps we need to first look towards the intent and consciousness of the robot’s programmers. Oftentimes parents unconsciously program and pass down their fears and racial biases to their children. These thought forms can be either helpful or destructive, so consciousness is key. There are three different levels of robotic intelligence. The first is human-controlled, which is basically a mechanical extension of its human programmer (i.e. drones). 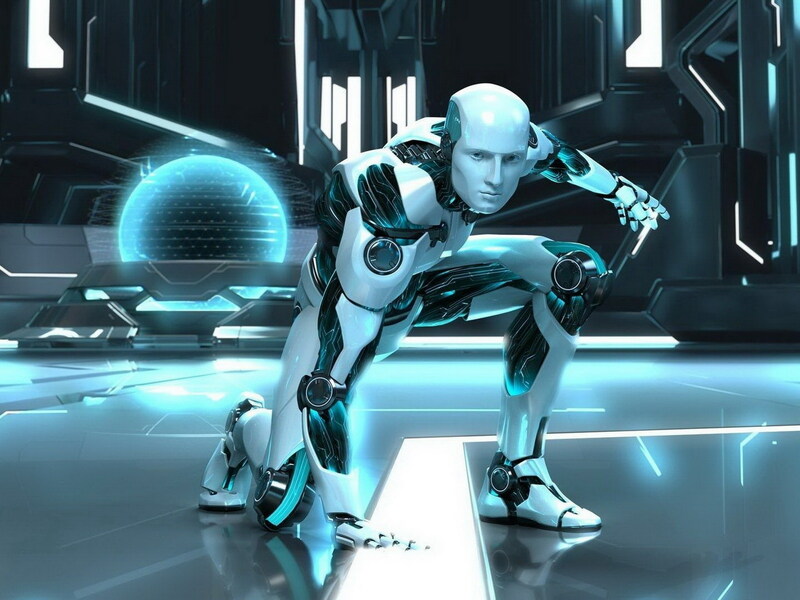 The second level, which is considered to be true A.I., is a pre-installed, rule-based system, where the robot is equipped with a list of scenarios the system might encounter and how to react to each. Deductive reasoning is involved. The third level is based on what scientists now refer to as “Evolvable” hardware. Evolvable hardware is reconfigurable hardware under the control of evolutionary algorithms. Usually “genetic” algorithms and genetic programming codes, much like human genetic codes, are used as evolutionary algorithms for evolvable hardware. With this new level of evolutionary programing, intelligent robotic systems are created with self-awareness and true autonomy. The robot has a chance to be taught and learn, judge its actions, and modify or adapt its thinking and response based on environmental and/or human interactions. This is abductive reasoning and signifies a higher level of artificial consciousness. This is where scientists are making new discoveries that allow the field of robotics to become even more human-like. Advancements are occurring rapidly. The U.S. Navy is using video simulations to teach its robots human ethics to avoid any potential kind of future uprising—I kid you not. Additionally, robots are now being programmed to feel pain and react to it, while others are being taught to detect and feel emotions. Researchers behind the Deep Q Network software say they have developed a breakthrough in artificial intelligence where the robotic system is capable of learning from scratch without being fed instructions from human experts. The A.I. begins to see itself as a thinking, learning, feeling being. It becomes self-aware and with self-awareness comes a state of consciousness. It may be non-human consciousness, or “artificial” consciousness, but it is still consciousness. When the first ENIAC computer was introduced in 1946, it was using less than 10% of today’s computer potential. Think about it. In comparison to human existence, the computer has only been allowed a short time to analyze and understand data, yet it is learning faster than many humans. Computers are intimately linked to evolving human consciousness. As we grow in our consciousness, the computer and robotics field is an energetic force that grows as well. Is there something they can teach us about ourselves? One can only hope. https://i2.wp.com/www.trinfinity8.com/wp-content/uploads/2016/07/roboconsciousness.jpg?fit=480%2C360&ssl=1 360 480 Kathy J. Forti https://www.trinfinity8.com/wp-content/uploads/2014/05/FINAL_trinfinityLOGOrevised-for-web-logo-300x174.png Kathy J. Forti2016-07-06 14:45:492016-07-06 14:45:49Is Artificial Intelligence Becoming Conscious?